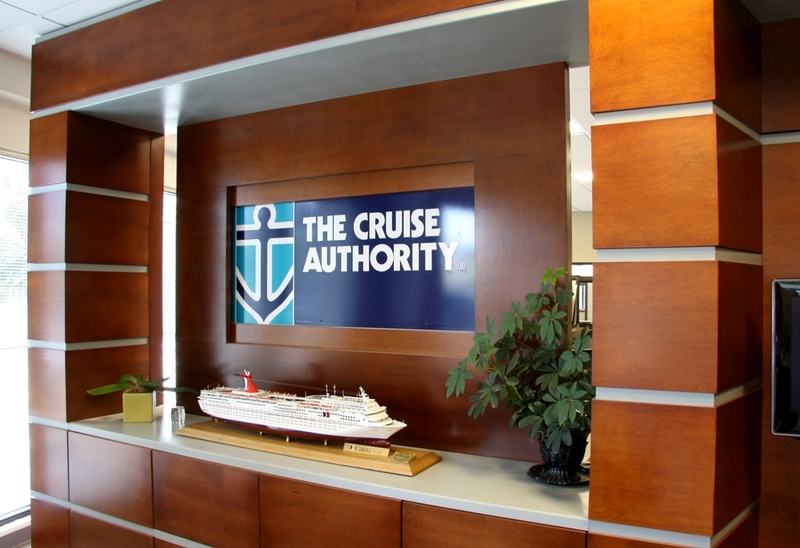 The Cruise Authority’s offices as originally built, in particular the reception area, were not developed to their fullest potential with respect to organization, aesthetic, or function. 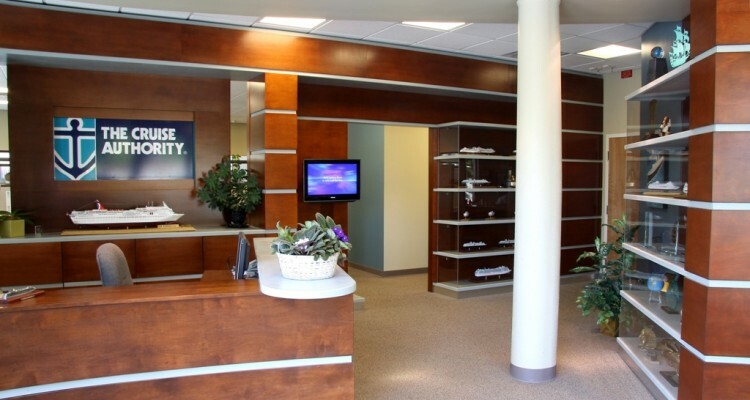 The primary goals of the project were to create a stronger definition of space, address acoustical issues, establish a strong first impression, and develop a consistent imagery indicative of the high level of service provided for the clients. Inspired by the art deco era of ocean liners and the beach destinations of many of their clients, an aesthetic of teak wood tones, wide horizontal planks with silver reveals, and shades of blue and tan became unifying elements throughout the space. 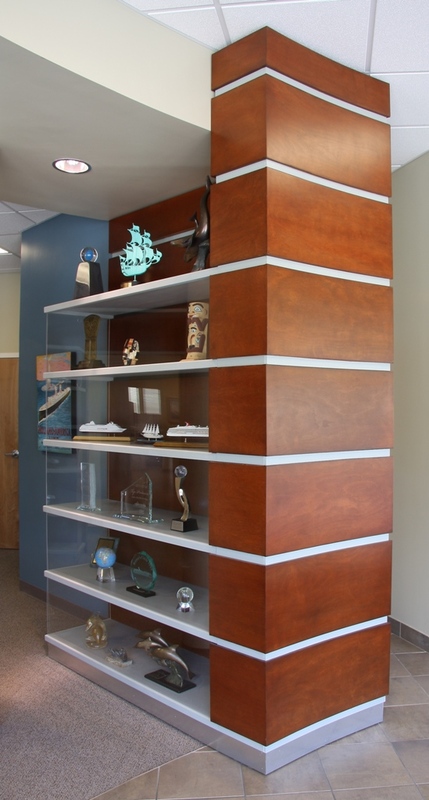 A sense of arrival and greeting is achieved through the installation of a free standing wood display wall with built-in video monitors. 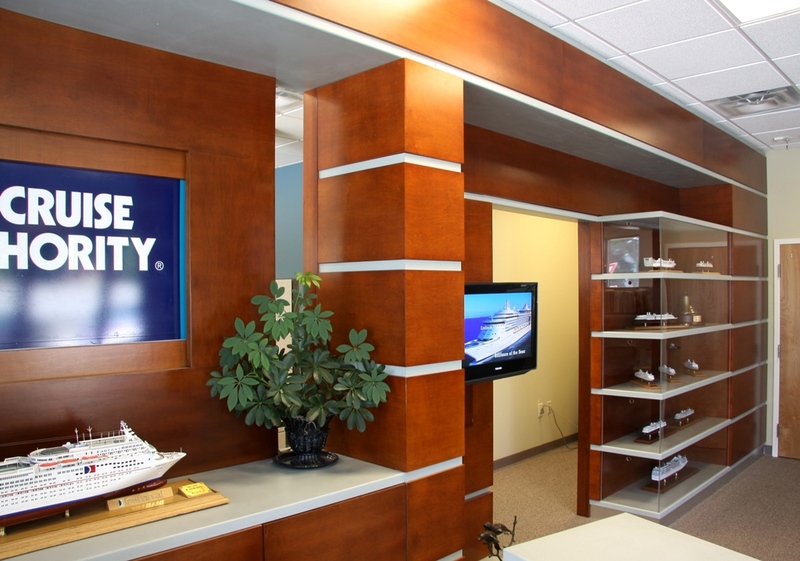 The display wall showcases a collection of cruise destination images and model ships and provides a backdrop for the reception desk and waiting area. 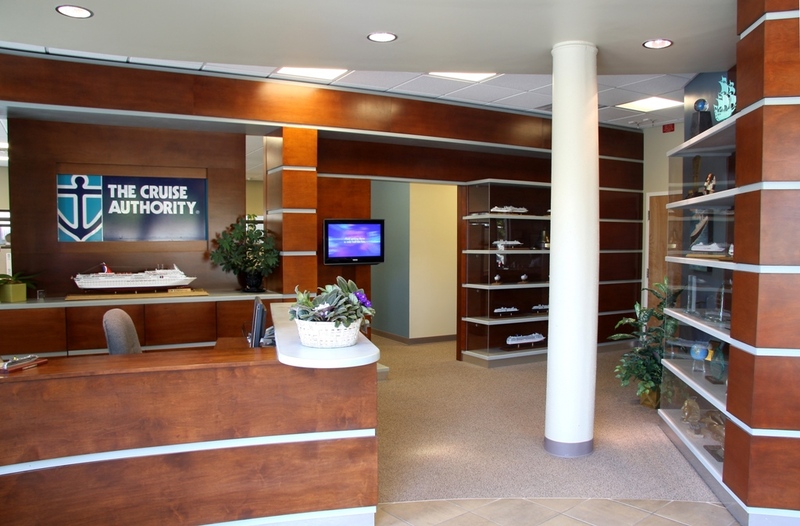 This feature also confines the noise and bustle of the adjacent open office while allowing visual control of the lobby. The horizontal stripe motif is interpreted throughout the two story facility using contrasting paint sheens, applied trims and fabric wrapped panels.